In case you've never nibbled one, daylilies taste like sweet lettuce, although a variety called 'Ethel Shepherd' that is peach-colored tastes like melon. A firm rule to follow is to pick them from your own garden, not from along the roadside, to assure that they're chemical-free. 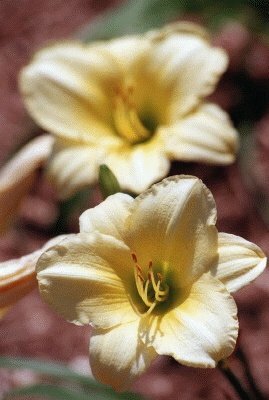 What's great about daylilies is that they don't have a lot of pests; we don't even spray them, growing for production. It's best to pick them in the morning, and they'll keep in the refrigerator to use in the evening. 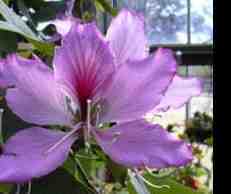 Pull the stamens, rinse them to make sure there aren't any ants hiding in them, and shake them dry. Then put them in a plastic bag or container and put them in the fridge until they're needed. 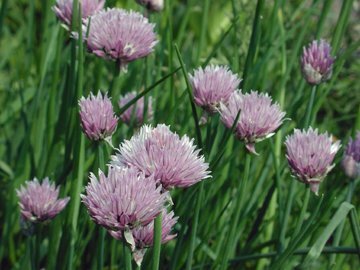 Chive Blossoms - Use whenever a light oniony flavor and aroma is desired. Separate the florets and enjoy the mild, onion flavor in a variety of dishes. Nasturtiums - Come in a variety of brilliant sunset colors with peppery flavors. 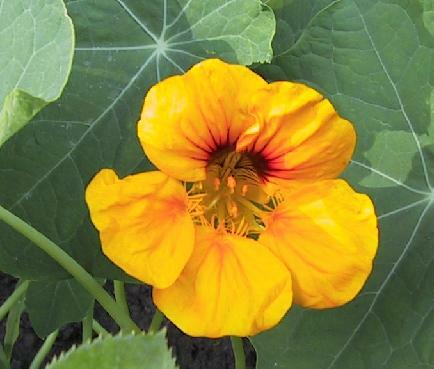 Nasturtiums rank among most common edible flowers. Blossoms have a sweet, spicy flavor similar to watercress. Stuff whole flowers with savory mousse. Leaves add peppery tang to salads. Pickled seed pods are less expensive substitute for capers. Use entire flowers to garnish platters, salads, cheese tortas, open-faced sandwiches, and savory appetizers. Roses - Flavor reminiscent of strawberries and green apples. Sweet, with subtle undertones ranging from fruit to mint to spice. All roses are edible, with the flavor being more pronounced in the darker varieties. In miniature varieties can garnish ice cream and desserts, or larger petals can be sprinkled on desserts or salads. Freeze them in ice cubes and float them in punches also. 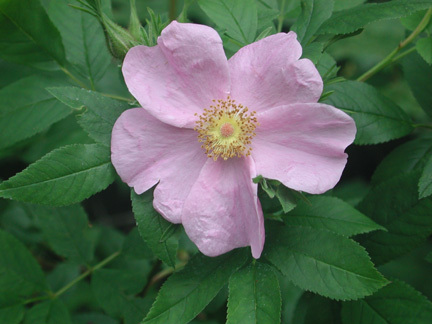 Petals used in syrups, jellies, perfumed butters and sweet spreads. Last but not least. Orchids are good looking AND rugged. This one can maintain it’s fresh crisp quality for over one week in the refrigerator. It has vibrant colors and good size. It tastes more or less like ………well, nothing, but it is gorgeous with so may food presentations. Despite the lack of flavor, it’s still my favorite!